I like these covers a lot because of how simple and matching they are. Although, I'm not the biggest fan of half-naked guys on covers. I haven't read Vain yet, but I'm interested now that I know that the series tackles each of the deadly sins. SO PRETTY SIIRI! Shockingly, I find myself drawn more to Greed. I wonder why that could be? *scrolls back up to look at cover again* Yep. Definitely a fan of Greed:) I can't wait to see what all the others are going to look like, and I adore the simple typeface for the titles! HOLY CRAP! I love the new Vain cover. LOVE. And Greed looks awesome too. 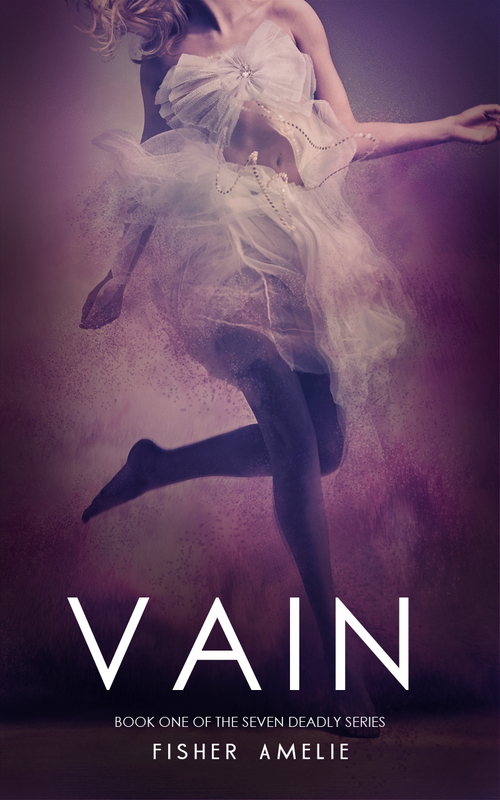 OOOH I really like the new cover for Vain and of course I love the cover of Greed, I mean come on, look at it! Yum! Thanks for sharing Siiri! You know what made me sad about this, Siiri? I was in the middle of commenting on your post last night (I saw it and was like, aha! More covers to add my bookish rounds post!) when my internet went down. lol. Anyway, I must be one of the bad, boring people since I haven't read these either :P. I lovelovelove the colors and the dramatic lighting They're very different from other NA covers, which I appreciate, as are the synopses, which have interested me right off the bat because they sound so different. I hope you enjoy these books when you get to them :). I like this Vain cover better than the first one! I AM DYING TO READ GREED I CANNOT STAND IT. I HAD TO WRITE IN ALL CAPS TO TELL YOU HOW MUCH I WANT THIS BOOK. PLEASSSEEEEEE GIVE IT TO ME.